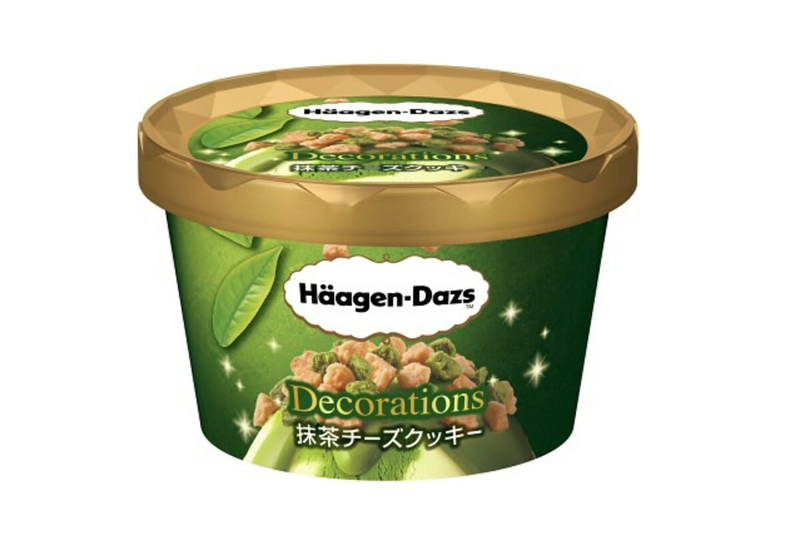 Lovers of Japanese flavors have been truly spoiled by luxury ice cream brand Häagen-Dazs in recent years, with a number of limited-edition releases featuring specials like hojicha roasted green tea, cherry blossom and kuromitsu brown sugar syrup. Now they’re adding a very Japanese flavor to their Decorations range—which differs from their usual lineup of ice cream tubs with a highly decorative topping—and this one is called the Matcha Cheese Cookie. This new variety comes filled with the flavors of powdered green tea in the ice cream, which is a delicious blend of matcha and cheese, and in the topping, which contains crunchy matcha cookie and cheese cookie pieces. Joining the Matcha Cheese Cookie for the new Decorations release is the Almond Caramel Cookie, which contains a caramel butterscotch ice cream blended with a bittersweet caramel sauce, along with a topping of sliced almonds and butter cookies, which add a delightful crunch to the smooth dessert. According to Häagen-Dazs, these new Decorations ice creams are designed to put a smile on the faces of sweet lovers from the instant they pull back the lid and reveal the display of beautiful toppings. They recommend mixing the topping into the ice cream as much or as little as you like, in order to create your own favourite tastes and textural sensations. The Matcha Cheese Cookie and Almond Caramel Cookie ice creams will retail for ¥300 (about US$2.76) each, and be available at stores around Japan for a limited time from February 19, 2019.